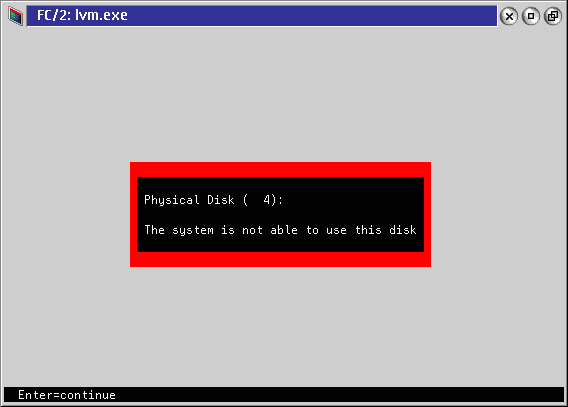 Quite reasonable message, but indeed system can't use disk 1 as well. 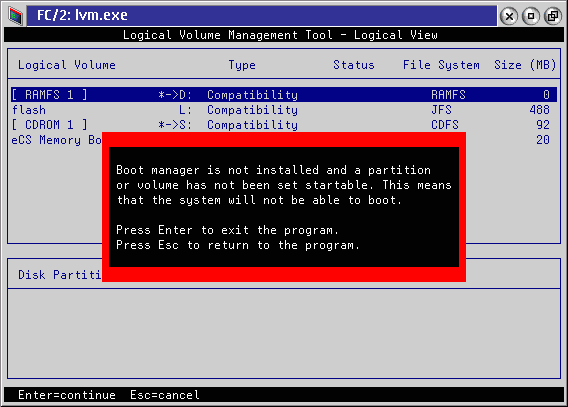 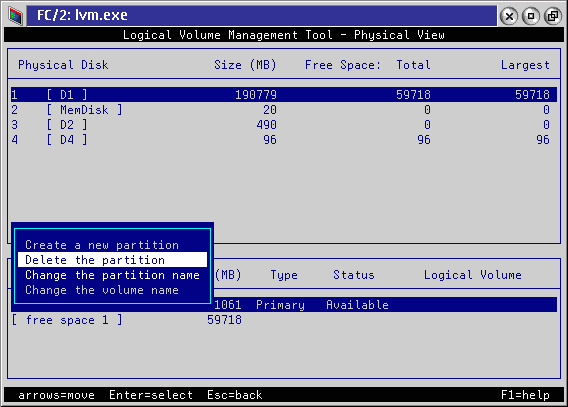 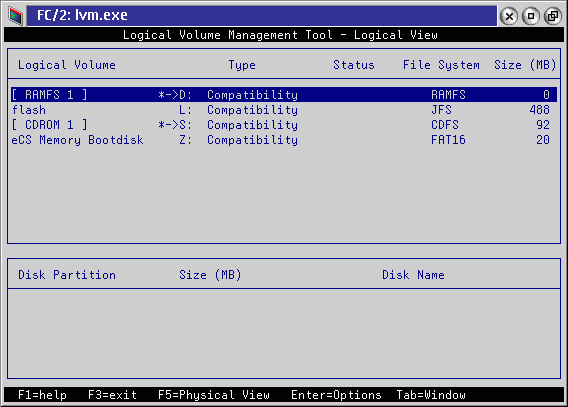 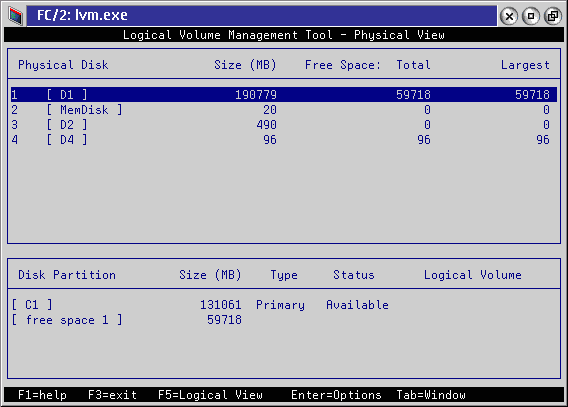 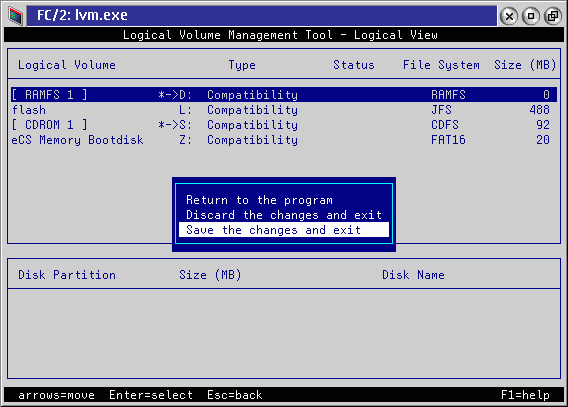 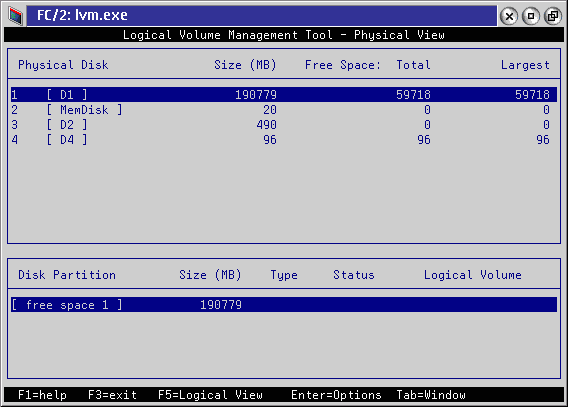 LVM however should work with the disk even if its created with win tools, this needs to be fixed among other bugs. 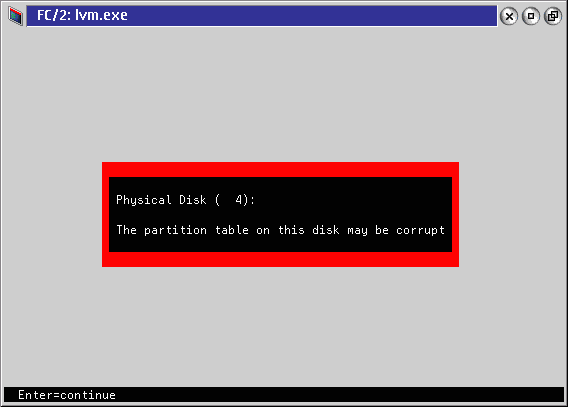 Would be nice if you could use the trak system from netlabs if the project goes this way... good luck !